We place great emphasis on excellent quality and craftsmanship. With our technical partners, we can help bring vital electricity to the most remote areas at reasonable cost. 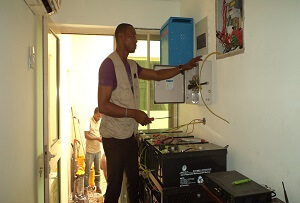 We also provide Solar Household Systems (SHS) for individual households. Rubitec is able to offer various options for Solar electricity. Battery and Inverter. It is also of interest to note that as the size increases the cost also increase. 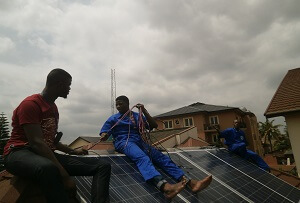 Mini-grid systems (AC): Rubitec is working with GIZ and the Ogun State Government to provide a Solar Hybrid with mini-grid to a community in Ogun State which will be scaled up to over 10 villages in the next 2 years. Information technology must be reliable and available 24 hours a day, seven (7) days a week. Only solar systems and back-up systems can provide such reliability for IT Infrastructure, ATMs, and telecoms. We are currently implementing solar systems for remote off-site ATMs for a major top 10 bank. This increases the reach of the bank to more customers in rural, semi-urban areas, as well as schools and universities. Solar powered lighting provides cheap and reliable electricity for streets and compounds. Provision of street lights and area lights will provide much needed security and reduce road accidents. There is now a worldwide acceptance of PV (Solar) – based systems as the most cost effective long term rural electrification technology. The Federal Government has also made a policy decision to use street lights on Nigerian highways. Solar powered water pumping is an economical and reliable method of water supply in rural and urban areas for people and for agriculture. Supply from the power utility company is still unreliable and does not reach most rural areas. Advantages include – reliability, economical, (no fuel costs or maintenance), good value, fully automatic. There is a demand for reliable and cost-effective electricity supplies to service remote medical and health care applications. 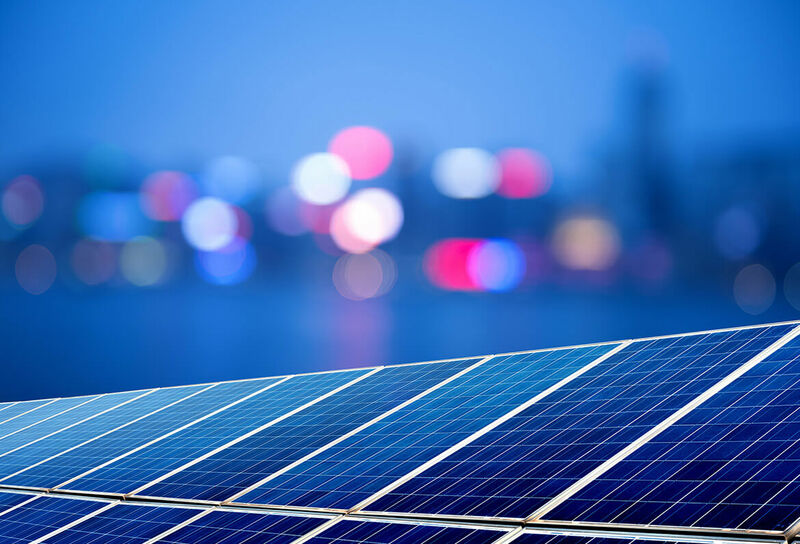 Solar photovoltaic power is ideally suited to these applications because it is highly reliable, has low recurrent costs, has inexhaustible supply of free fuel and very low maintenance requirements.